Visiting different minority ethnic groups who live in remote area, spending a night in a home-stay of a Red Dzao family; enjoy beautiful scenery along the trip. Met up at your hotel in Sapa by Sapa local guide and driver then transferred to Ban Ho. 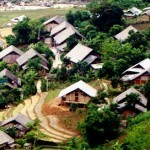 We will trek through the scenic valley of “Ban Ho”. This is a village of Tay ethnic minority. The Tay preserve a traditional and fairly developed agriculture with cultivation of all kinds of plants including rice, maize and sweet potato as well as seasonable fruit and vegetables. Then we continue walking to Thanh Phu village where your lunch will be provided in a local house. After lunchtime, you head to Sin Chai village. This is a village of of Red Dao people. Dinner and overnight at the village. After breakfast, we will start our day with a long trek towards Lao Cai. 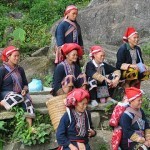 The route from Sin Chai, one of the most remote area in Sapa offers beautiful scenery and landscape. 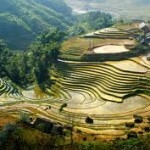 The trek will take us through rice paddy fields, bamboo forest, old trees jungle. Your lunch will be provided at Nam Ket. After lunch, we will trek downhill. Upon arriving in Ta Thang village, a Tay village we will be greeted again by our driver who transfer us then to Laocai station for our journey back to Hanoi. End. Approx: 0.5-hour driving/ 7.5 hours walking/ 1 hour lunch. 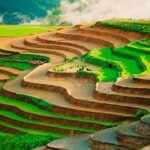 Note: This trip will easily combine with the transfer to Lao Cai railway station without passing by Sapa.